Do you have plans to visit Tokyo? If you do, you’ll likely be using Japan’s extensive commuter train system to get around. 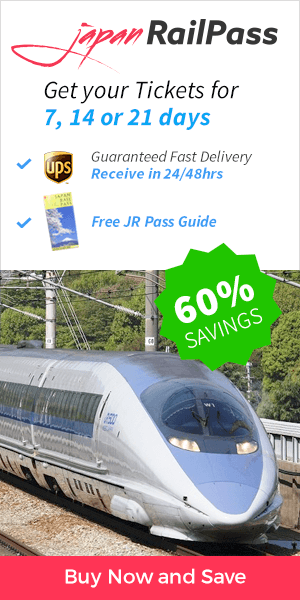 The railways in Japan are quick and efficient, as well as affordable – especially if you take advantage of the Japan Rail Pass, which fully covers it and allows to ride it for free! When traveling in Tokyo, common train lines include the 60 kilometers that make up the Chuo-Sobu Line. This line runs east and west across Tokyo, between Chiba Station and Mitaka Station. It is the single JR line that crosses the circle of the Yamanote Line, and it serves as a major artery for local commuters as well as other travelers. Don’t get confused! Sometimes you may see this line marked as the “Sobu-Chuo Line,” an inverse of its usual name. Don’t worry, it is the same rail line. You may have other questions about the Chuo-Sobu Line as well, and we’re here to help. Equipped with this handy guide, you’ll soon be traveling like a pro. The Chuo-Sobu Line runs parallel to the main lines from which it derives its name – the Chuo Main Line, which travels west from Tokyo to Nagoya; and the Sobu Main Line, which runs east from Tokyo to Choshi. The Chuo-Sobu Line also bridges a gap left when the main lines diverge. Interestingly, the Chuo-Sobu Line is the only line that intersects the Yamanote Loop Line. The Tokyo Metro Tozai Line utilizes portions of the Chuo-Sobu Line – from Nishi-Funabashi to Tsudanuma, and from Nakano to Mitaka – during the mornings and evenings. When choosing your train, you may notice that yellow trains are called Sobu Line, while orange trains are named Chuo line. This distinction identifies the type of service – yellow are local trains, while the rapid trains are orange. Typically, rapid trains run on the main lines. Keep in mind that the Chuo line and the Sobu line arrives to Tokyo Station, but the Chuo-Sobu line doesn’t. To get to Tokyo Station, you’ll have to change trains at Ochanomizu Station or Kinshicho Station. The Chuo-Sobu Line is primarily considered a slow-train service, meaning it stops at every station along its path (this is contrasted with rapid service, which skips stations to enable faster travel between terminal stations). 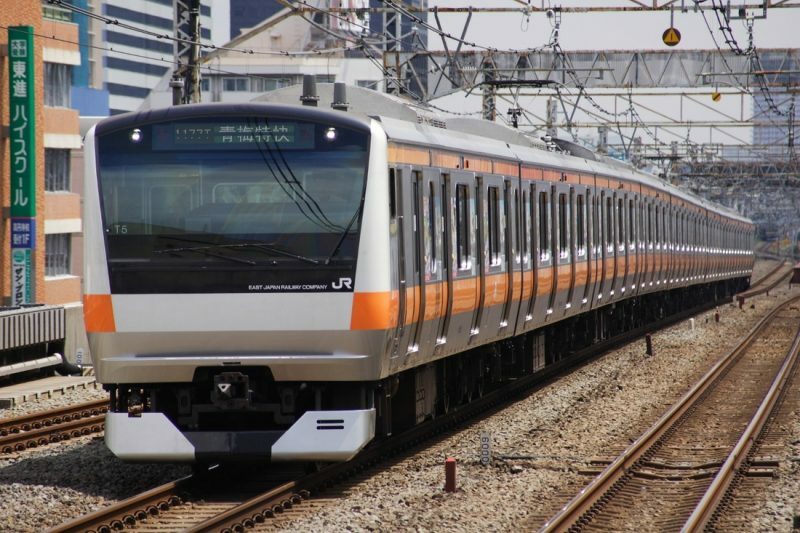 Trains do not run on the Chuo-Sobu line very early in the morning or late at night – typically, this break occurs from around 10 pm to around 6 am. At these times, local trains can be accessed on the nearby main lines. Female-only cars are available during rush hour. Announcements and signs are in both Japanese and English. Consider some of the interesting stations you’ll discover along the Chuo-Sobu Line. JR East’s Ochanomizu Station lies next to the Kanda River. The Ochanomizu area is popular for its many guitar and instrument shops. One stop away is Suidobashi Station, close to Tokyo Dome and Koishikawa Korakuen, one of Tokyo’s most attractive landscape gardens and one of the best spots for the cherry-blossom viewing. Shinjuku Station is the largest along the Chuo-Sobu Line. From Shinjuku, you can transfer to the Yamanote Line, which reaches many of Tokyo’s most popular attractions. The Narita Express and rapid trains along the main line also stop at Shinjuku. Okubo Station can be reached only using the Chuo-Sobu Line. The Shin-Okubo district is well known for its Chinese and Korean food. The Yamanote Line can be reached in a five-minute walk from this station. Koenji Station is located in an area known for its nightlife as well as manga, anime, otaku, and cosplay culture. The rapid trains serve this station on weekdays, but only the local trains of the Chuo-Sobu Line stop there on weekends. The terminal station of Mitaka allows access to the Ghibli Museum, a fun excursion for all ages, featuring the creations of Japan’s famed animation studio, Studio Ghibli. Can I go from Shinjuku station to Narita airport terminal 2 by train without any transfer? Hi Anne! The N’EX has two stops in Narita Airport, Terminal 1 and Terminal 2-3, and its main stops include Shinjuku. All N’EX seat reservations are available for free to any Japan Rail Pass holder. Happy travels! Hello, I was wondering if you could help me? 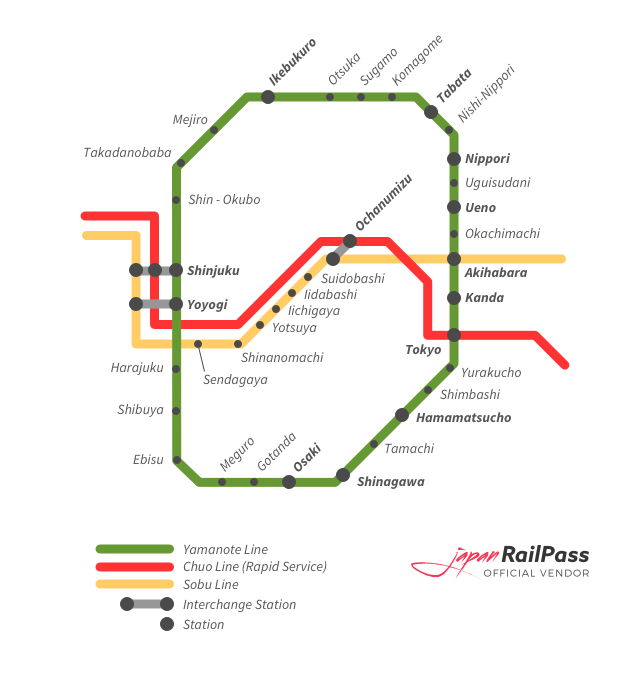 I am going to Japan soon and I am wondering if the Chuo-sobu local line coming from Hirai station will be covered by the JR Pass because that is the station that we are closest to and it would be inconvenient if it wasn’t. Hi James! Yes – as stated in this article, the Japan Rail Pass fully covers the JR Chuo-Sobu line and allows to ride it for free! Happy travels! We will be arriving from Australia at Narita with our 2 children at 6:30pm. we are staying close to the Ryogoku station. We have purchased green class JR passes which we will need to get at Narita on arrival. Which route will involve the least line changes? Can we book seats online beforehand? Hi Renee! Japan Rail Pass holders are entitled to book a seat on all Japan Railways trains free of charge. All seats should be booked before boarding the train. Please take your Japan Rail Pass to any JR Ticket Office and provide the officers the details of your trip and you will be handed your reserved seat ticket. Happy travels!